So while Backspace might describe themselves as an alt-pop band what this doesn’t do is to prepare you for quite how rock their sound is. The EP opener really sums up alt-rock with a pop thing. Rosie’s vocals, which are great people, are pure pop but the track takes off on that rocky kick in the choruses. It’s all horribly catchy, very horribly catchy. This thing earworms like crazy. So I’m hooked, on to the next. Oh boy it looks like my attempt to label this band has, to some degree, fallen apart; for ‘Sick And Tired’ actually features horns. That’s right horns. What this actually reminds me of, only slightly mind, is The Real Ink. It’s weirdly slightly soul-y, slightly ska-y at points. Think No Doubt in an alt-pop-rock vein. And then just for the hell of it it throws in some classic 80s’ pop keyboards. The problem for me is that I really really like this song but for the life of me I can’t quite pin down why – sure it’s hugely catchy, those horns rock (well they don’t rock at such, you know what I mean), it has this enormously toe-tapping beat that after the third listen through kinda forced me to get up and throw some shapes, I rather like the 80s’ keyboards. But it has something when taken as a whole that somehow is more than the sum of it’s parts. ‘Winging It’ is so obviously Backspace but it’s different again. It’s more 80s indie/Brit Pop. Look it’s the vocals which are so damn loose, on the edge of falling apart. I love a vocal like that. Musically it mines the deep veins of Brit Pop. But then just for the hell of it they throw in this crazy guitar break. This is mixed back, which sounds strange, but on the track it really works. And it has a tune that never dies. Rather strangely, and I include this just for information, it reminded me very very slightly of False Advertising at a few points (it’s in the vocals should you really want to know). What Backspace has produced is a hugely impressive set of songs, there’s not a dud amongst them. What is even more impressive is that this band are young, I mean like way young, a fact I hadn’t actually picked up on when I agreed to review the EP (scroll down to the bio after listening to the songs people). I just judged it on what I heard, I suggest you do the same. Do I recommend this EP, hell yeah. BACKSPACE are a Guiseley based indie Alt-Pop band, formed by school friends Harry, Alex, Rosie, Miles and Harry. 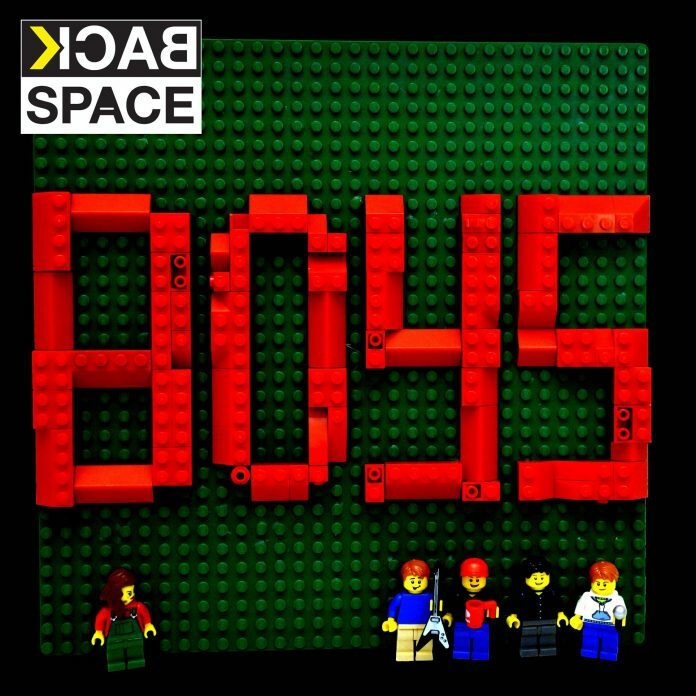 Conceived to the sounds of early 80’s new wave, BACKSPACE suckled on the rich milk of Brit Pop before being weaned on their first solids of The Libertines and Artic Monkeys. Now sick of a life drowned out by household appliances they’ve broken loose and want to regurgitate their mixed up childhood diet in your earholes. 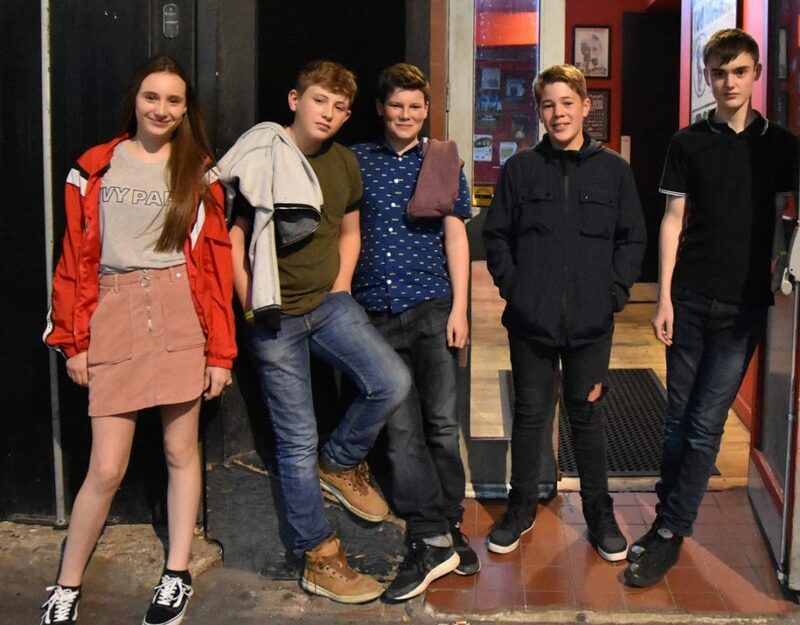 Formed in 2016 the band have doggedly grown their reputation as a tour de force with performances on the local circuit including being crowned winners of the Kirstall Festival Battle of the Bands in July 2018.